Length 17-26 mm. 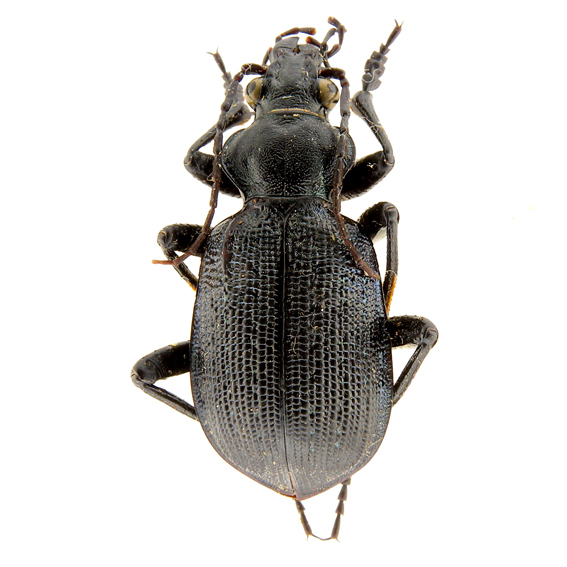 C. roeschkei, C. orientale and C. scabrosum form a fairly homogeneous group of species characterized by elytral sculpture with intervals of the same width and height ("homodynamic" type), deeply incised transversely. 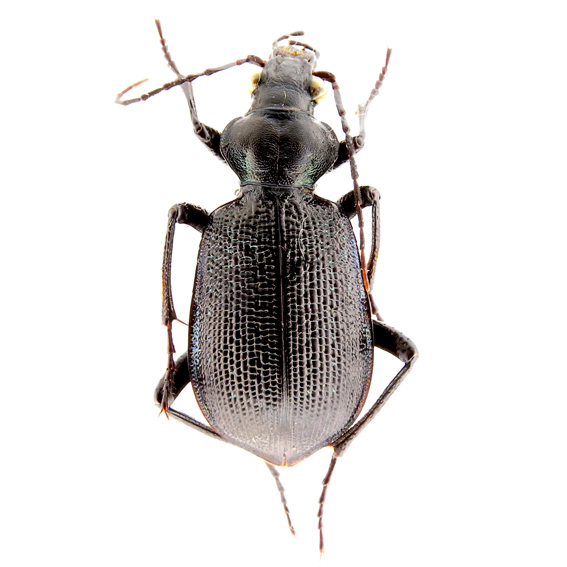 C. scabrosum is distinguishable because of the black color of the upper side of the body with only weak bronze reflexes, the more elongated body shape, the the slightly angular pronotum clearly narrower behind with arcuate sides. C. scabrosum var. roeschkei described by Breuning (1927: 185) from Usumbara in Tanzania, as already suspected by the same author, should actually refer to a distinct species, later described again by Jeannel (1940: 127) as C. aethiops. According to Jeannel (1940: 128), C. scabrosum from Central and Eastern Sahara (Niger, Chad, Sudan), arrives to the east at the Red Sea (Djibouti, Somalia). Moreover, it is known from Nigeria, Ethiopia (Breuning, 1928b: 96), Yemen (Häckel, 2012: 55), and Oman (Häckel e Al., 2005 and 2010). Chad. distr. Kanem, N’Gouri (sub chlorostictum), Fort Lamy (RMCA), Nguigmi (Jeannel, 1940: 128), Ennedi Central (Vigna Taglianti & Bruschi, 1988: 243), Ennedi Ouest: Aloba mountain (Gillet, 1959: 518).